-You can take a body out of the hills...but you can't take the hills out of anybody. 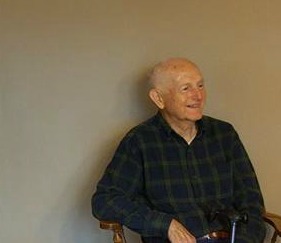 One time my dad had gone back home to Kentucky for a funeral and he ran into some old childhood buddy he grew up with. That old friend leaned into my dad and said, "Can I ask you a question?" He said, "How come a lot of people that's left here try to change the way they talk, but your talk is just the same as it ever was?" My dad just grinned and said he didn't know how to talk any different. I come from a line of people that didn't put on airs for anybody...and didn't care what the world thought about their speech or customs. My dad's philosophy seems to have always been that if he was pleasing God, he didn't need to try to please another soul by conforming to who they thought he should be. If God chose to make him a boy from the hills, that was what he would always remain...and be proud of it! 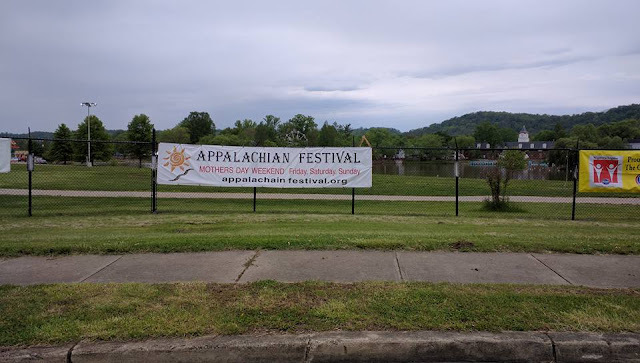 Mother's Day weekend, I had the privilege of being surrounded by many other people who feel a similar pride in their Appalachian roots. 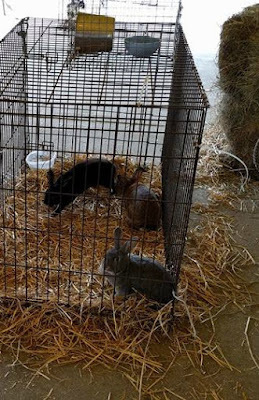 I attended the 47th Annual Appalachian Festival at Coney Island in Cincinnati, Ohio. According to the Urban Appalachian Community Coalition, "approximately 34% of Greater Cincinnati is of Appalachian descent." 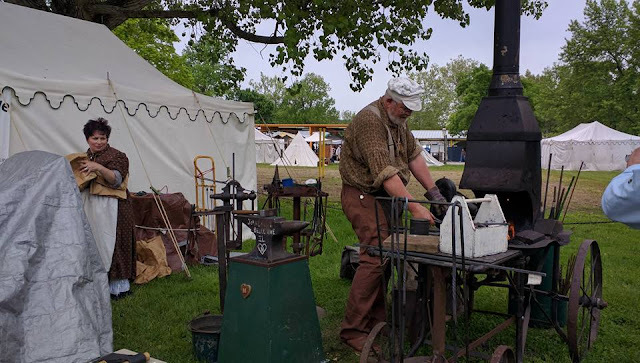 So it comes as no surprise that Cincinnati makes the perfect backdrop for a celebration of mountain culture. 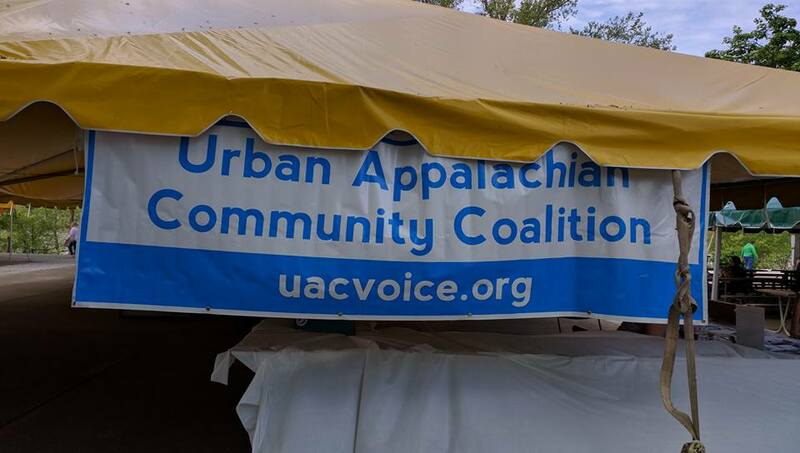 The festival is put on by the Appalachian Community Development Association and festival proceeds go towards organizations involved in Appalachian life. 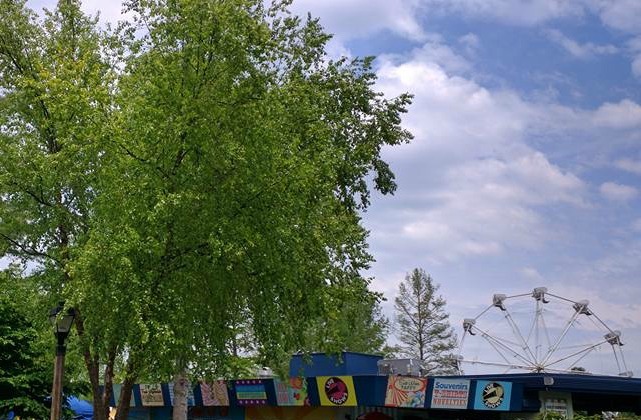 The festival has a "down home friendly" atmosphere, loaded with music, storytelling, dance, food, and history. The storytelling just happened to be my favorite. 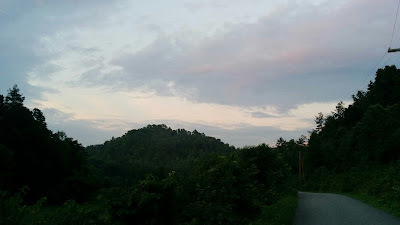 I have such fond childhood memories of listening to folks like my dad or my papaw tell some of the best mountain tales you've ever heard...so I'm a sucker for a good old story from the hills. 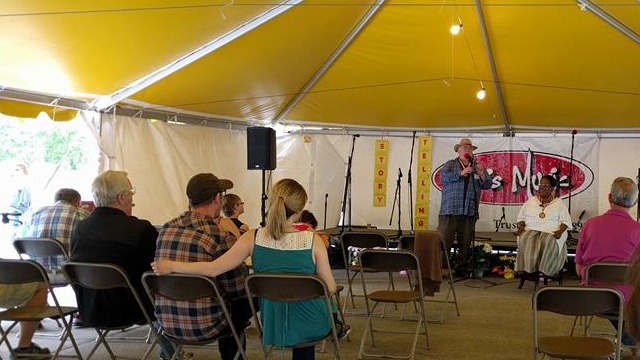 While at the festival, I had the chance to listen to both Omope Carter Daboiku and Pam Holcomb. 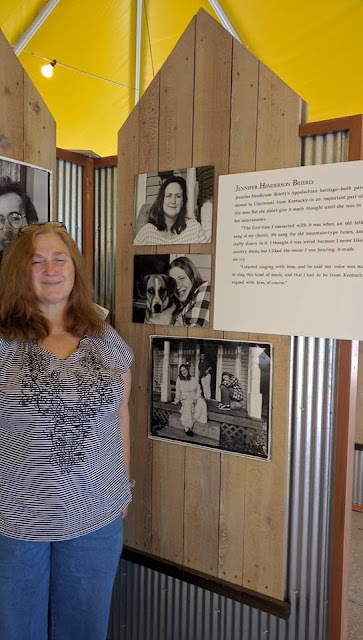 Omope hails from Ironton, Ohio, and Pam from Harlan County, Kentucky...and both women are amazing and talented storytellers! I had the additional opportunity of getting to meet and speak with Omope Carter Daboiku, and let me tell you...she is as sweet and down to earth face to face as she is on the storytelling stage. She's one of those people that makes you feel at home even if you aren't actually at home. Here is a video link of her talking about the Appalachian Festival in 2012. 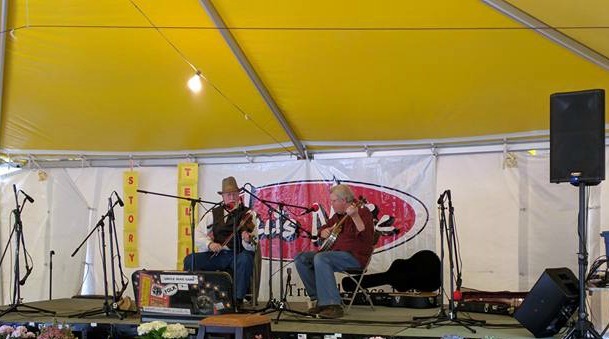 With such music groups as the Hills of Kentucky Dulcimers, and dance groups like Hills of Kentucky and many more entertainers...the festival rang out with the sights and sounds of traditional and authentic mountain music. The festival also had an extensive living history area, where old time pioneer and frontier customs could be experienced. And if shopping is your thing, there was plenty to be found. 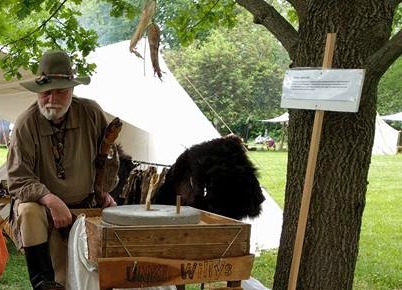 You could purchase anything from lye soap to stone ground meal. And the Owsley County Outreach was on hand as well, selling crafts from the hills of Owsley County, Kentucky. 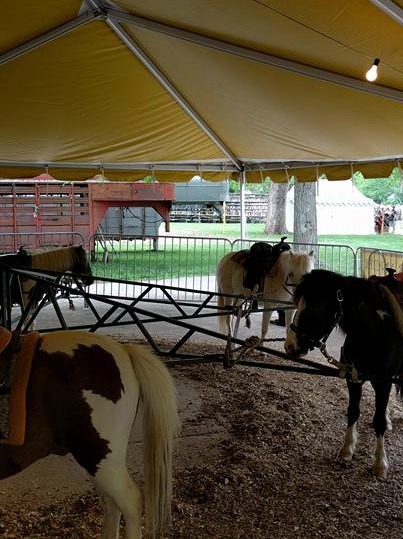 The festival was perfect for the whole family. 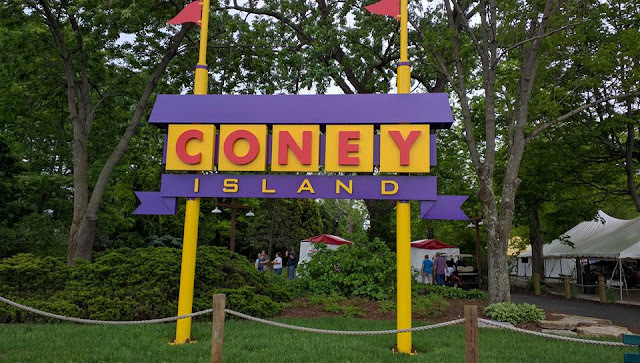 Kids could get in on the action with pony rides, a petting zoo, on site playground, and all the amusement park rides and attractions of Coney Island itself. But one of the most heartfelt and moving portions of the festival was the Urban Appalachian Community Coalition's "Perceptions of Home" display. 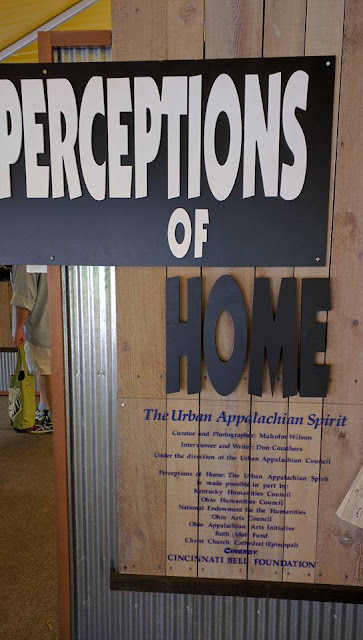 I loved walking through this exhibit and seeing the photos and reading the stories of other Urban Appalachians...learning of their experiences and thoughts about our culture and roots. So many of the experiences and thoughts I could relate to myself. 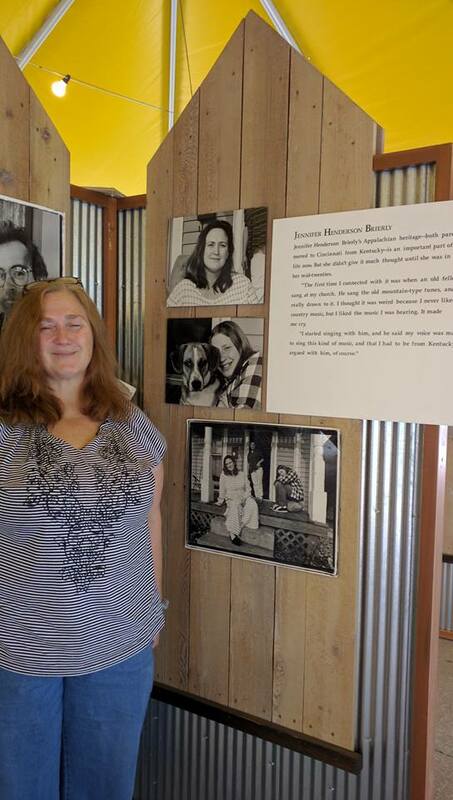 I even got the chance to meet and talk with Jennifer Brierly, a second generation urban Appalachian like myself, whose story is part of the "Perceptions of Home" exhibit. And then there was Paul Johnston (introduced to me by Jennifer Brierly), a fellow festival goer originally from Grayson, Kentucky...who told me stories of the days he played music with Taylor Farley, Jr., the late banjo player whose story is also a part of the exhibit. 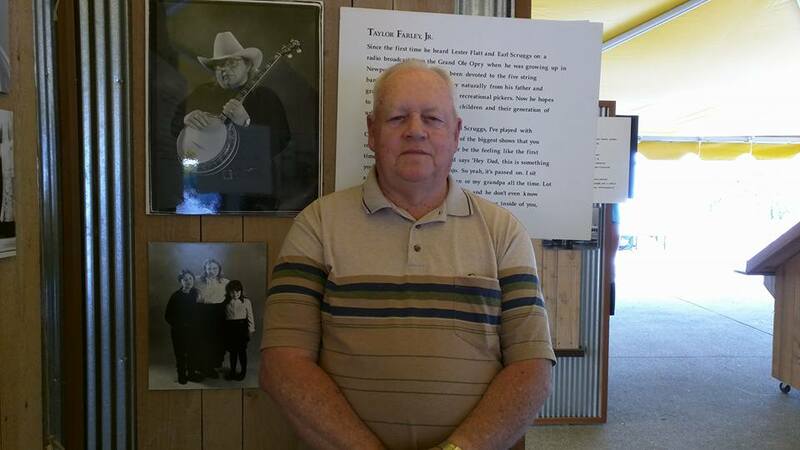 Paul shared how Taylor Farley once took him to the home of the legendary Earl Scruggs on a trip to Nashville...and how Paul didn't quite believe Taylor even knew Earl Scruggs until they were sure enough standing on Scrugg's doorstep! 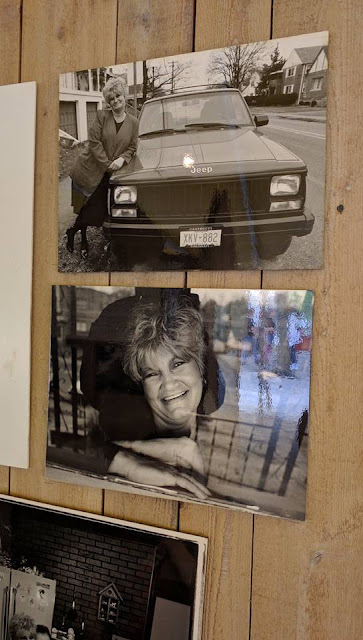 One of my favorite stories in the display was that of Harlan, Kentucky native turned urban Appalachian, Charlene Ledbetter Dalton. In Charlene's own words..."So you kindly want to spread your wings, see what this big city's about. And then somehow, when you get up here, you get stuck in it, and then it's hard to get back. 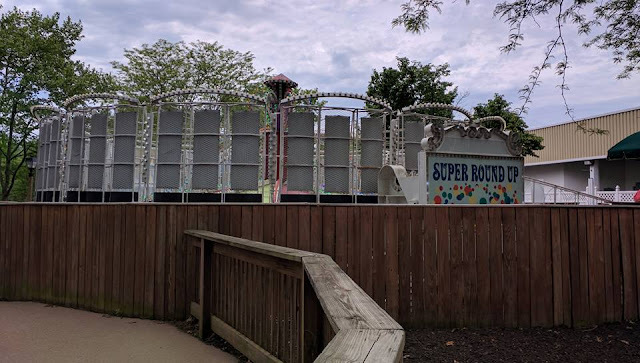 I think that most Kentucky people want to go back, because they got something nobody else has got." And isn't Charlene right? There is something in those hills and mountains that you just can't find anywhere else...it's a unique and beautiful place, so often misunderstood by others, yet cherished so dearly by those who really know its truths. Makes you a little homesick thinking about it now, doesn't it? 'Til next time, many blessings to you and yours!